The Gasperini protected could draw a point with the AC Milan with a full success against the promoted! The role of favorites in the duel between Atalanta Bergamo and Empoli is absolutely not only by quotas absolutely clear! The home side are in great shape and have collected 14 out of 18 possible points in their last six league games. Empoli, however, is still waiting for the first away win of the season. The trend is clearly towards the home side, starting at the Atleti d’Azzurri Stadium on Monday evening at 20:30. Last season’s table-top player not only has a great opportunity to qualify directly for the Europa League (this season’s run-off against FC Copenhagen in the play-offs), but is even dreaming of the Champions League , With a home win against the away relegation candidates, the Gasperini-Elf could catch up with AC Milan. Due to the lost direct duel Atalanta Bergamo but would be ranked behind the Rossoneri. However, the momentum clearly speaks these days for the Lombards, who are looking forward to the season’s finale. The only downside to the duel against Empoli FC on Monday night is the probable failure of Josip Ilicic. The 31-year-old Slovene was unable to train 100% for the entire week due to knee problems. A mission is more than just uncertain! But with the return of Duvan Zapata Atalanta Bergamo again has a brawny attacker, which also brings a lot of speed. Brazilian central defender Rafael Toloi is definitely out of action due to tendon irritation. These two failures must be against the tables-18. however be compensated. Between Atalanta Bergamo and Empoli the prediction for the home win is obvious. 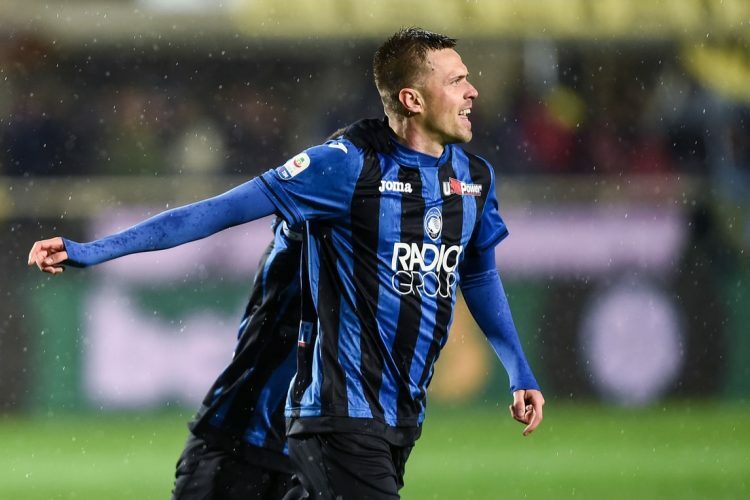 Atalanta Bergamo also celebrated five of its seven previous home wins (7-4-4 balance) with at least two goals difference. Only 17 times were the two teams in the Italian football upper house opposite. With seven wins over only three defeats, the CL aspirant Atalanta Bergamo has the nose in the direct comparison quite clear forward. In the first leg, however, it put a 3-2 defeat against the promoted Empoli! The first leg was a first, because for the first time in Serie A history ended a home game of Empoli vs Atalanta Bergamo with a successful tip on the over 2.5! In the first eight duels in Empoli there were a maximum of two goals to see! At the Atleti Azzurri d’Italia Stadium in Bergamo, four out of the eight duels ended with over 2.5! Atalanta Bergamo has never suffered a home defeat against Empoli (4-4-0 score)! AC Milan (against Lazio Roma) and AS Roma (against Udinese Calcio) were each able to put in a 1: 0 victory in the battle for Europe on matchday 32 of the current Serie A season. This increases the pressure on the Lombards from Bergamo, who meet at the end of this game day on the Empoli FC. Anything but a win against the league’s weakest away team would be a bitter disappointment for head coach Gian Piero Gasperini’s team. For a home win by Atalanta Bergamo vs Empoli odds of a maximum of 1.40 are offered! ⭐️ Atalanta on fire – Lombards have scored 14 out of 18 points in their last six games! ⭐️ Atalanta Bergamo has never lost at home to Empoli in Serie A (4-4-0 balance)! ⭐️ The climber has not yet won a match away – 0-4-11 balance!